It was only 2011 when Google shocked the world by announcing it would buy Motorola Mobility, but now it's offloaded it to Lenovo. In a surprising move, China-based Lenovo has announced it acquired Motorola Mobility for $2.91 billion in an effort to conquer the smartphone market. It seemed like Motorola was just getting off the ground at Google, with the Moto X and Moto G gaining traction in the US and UK, but now the smartphone brand will get a new life under Lenovo. Lenovo will gain the Motorola brand and current and future Motorola products. Lenovo purchased Motorola for $2.91 billion. When the deal closes after regulatory approval, Lenovo will pay $1.41 billion (comprised of $660 million in cash and $750 million in Lenovo ordinary shares, which Google will then own). The remaining $1.5 billion will be paid in the form of a three-year promise. Motorola's Advanced Technology and Projects group will stay at Google. This group is responsible for futuristic concepts like Project Ara modular handset, password tattoo, and a pill that would turn your whole body into an authentication token. The group and its renowned leader Regina Dugan will be moved to Sundar Pichai's Android team at Google. Google will still have ownership of the "vast majority" of the Motorola Mobility patent portfolio, including current patent applications and invention disclosures. We expect to hear more about why Google sold on its quarterly earnings call on Thursday. However, the speculation is that Google was losing too much money with the Motorola arm and just wanted the patents. Last quarter it reported a $248 million loss, less than -21 per cent of Motorola segment revenues, and in the year-ago quarter it showed a $192 million loss. Motorola was on a downward spiral at Google. "Lenovo has the expertise and track record to scale Motorola into a major player within the Android ecosystem," Google CEO Larry Page said. "They have a lot of experience in hardware, and they have global reach. "In addition, Lenovo intends to keep Motorola’s distinct brand identity—just as they did when they acquired ThinkPad from IBM in 2005. Google will retain the vast majority of Motorola’s patents, which we will continue to use to defend the entire Android ecosystem." We have broken down exactly what Page is thinking. How will Lenovo use the Motorola brand for smartphones? Lenovo said the Motorola brand would be used in North America, Latin America and Europe, and the Lenovo brand will be used in China and emerging markets. There's no word on when the new age of Lenovo/Motorola handsets will be released. Why did Lenovo choose Motorola, and not BlackBerry? During a conference call, Lenovo's CEO praised Motorola's ability to build relationships with carriers and that it has a hold in key markets such as the US and parts of Europe. He wouldn't comment on rumours about buying BlackBerry. Lenovo wants to become a "long-term" leader in the smartphone market. Yuanqing said the company wants to sell 100 million smartphones a year but didn't specifiy when. What happens to Motorola's US manufacturing and the American-made message? Lenovo wouldn't say for sure if the majority of Motorola manufacturing would stay in the US and said it would look at what's most effective in the future. Yuanqing did confirm there won't be layoffs at Motorola in the US. Yuanqing said the company believes it's the right time to invest in America. What about Motorola CEO Dennis Woodside? Yuanqing confirmed on a conference call that Woodside will join Lenovo's management, at least during the transition of the company. What is happening to the Moto G and Moto X? Lenovo said it's excited about Motorola's current product line but obviously will expand on it as time goes on. The company says it plans on selling more Moto G handsets and make more money from them. What new handsets are Lenovo planning? Lenovo wouldn't talk specific new products following its purchase - just that it would evaluate each market to meet its needs. That could include Lenovo's phablets in the US that it's been pushing in China. With Motorola, what will be Lenovo's market share? Lenovo and Motorola combined will have a third-place market share, behind Samsung and Apple. This is after it ended 2013 in fifth place overall with an estimated 45.5 million shipments and 4.6 per cent market share. What does the acquisition mean for Samsung, HTC, Sony and others? Lenovo sounds like it's serious when it comes to working to dominate smartphone sales worldwide, and other manufacturers might want to take note. Lenovo had already chiselled itself out a nice spot in the Asia smartphone market, and with North America and Latin America now under its belt thanks to Motorola, it means serious business. What's Google and Lenovo's relationship going forward? 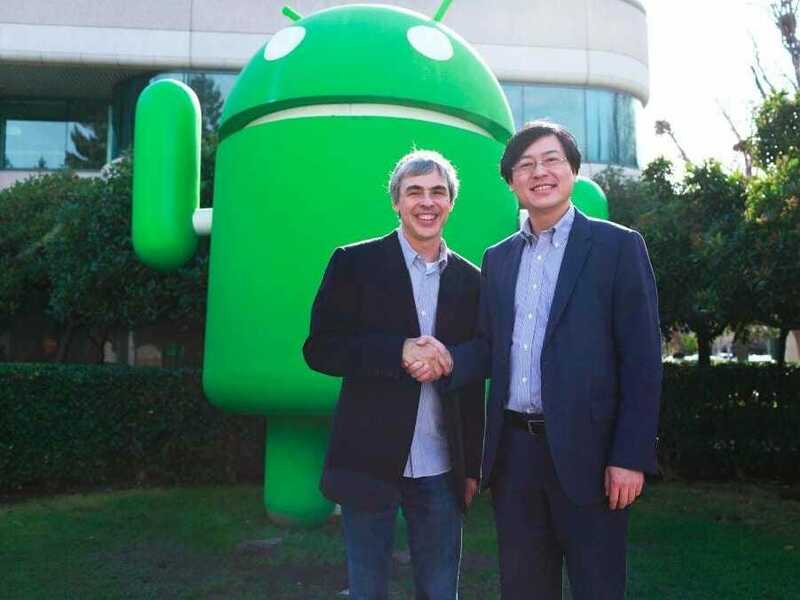 Yuanqing said Lenovo and Google would continue to strengthen their relationship. Google sounds like it's betting on Lenovo being a big player in the Android space. “Lenovo has the expertise and track record to scale Motorola Mobility into a major player within the Android ecosystem. This move will enable Google to devote our energy to driving innovation across the Android ecosystem, for the benefit of smartphone users everywhere,” Page said. When will the deal be completed? Major buyouts, as in this case, usually take time. Page told the Google troops in an internal memo: "The deal has yet to be approved in the US or China, and this usually takes time. So until then, it’s business as usual. I’m phenomenally impressed with everything the Motorola team has achieved and confident that with Lenovo as a partner, Motorola will build more and more great products for people everywhere."